144 pages. 275x215mm. Printed on gloss art paper with printed board covers. 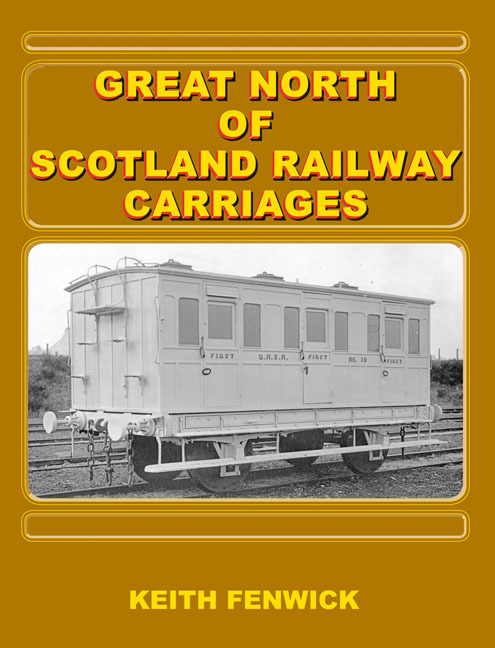 The Great North of Scotland Railway was a compact system which served the north east corner of Scotland from its headquarters in Aberdeen. Its coaching stock reflected the Company’s chequered development and the perpetual need to keep expenditure to a minimum. Progress in coach design lagged behind many other parts of the country. 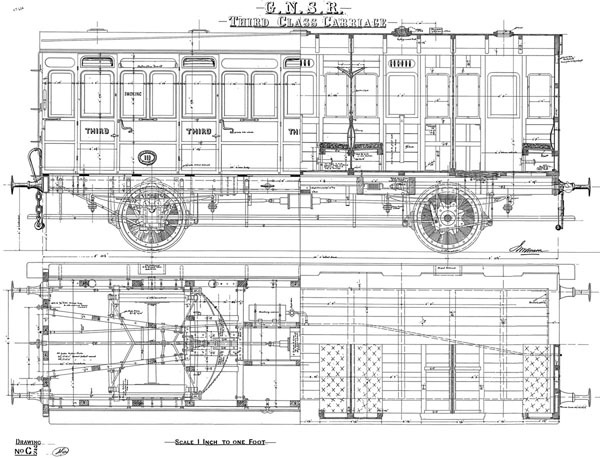 The majority of passengers were still being conveyed in 4- and 6-wheelers at the time of the grouping, but the bogie coaches for more important services were among the best appointed of their time. The size of the Company, and the survival of many drawings at its works at Inverurie, has meant that it has been possible in one volume to trace the development of the Company’s coaching stock from the beginning until the grouping in 1923. Many withdrawn coach bodies found new uses on the farms in the area and this has brought life to the study. A range of other original sources has been consulted and several years spent on research to ensure that the complete story is presented. Diagram 20 Composite Corridor, 1908. This image appears to have been taken when the vihicle was new. The footboards were later cut back to one section under the guard's door and short boards at each end to give access to the steps on the end of the coach.